Ticket sales end one hour before the park closes. Grandfather Mountain is open every day of the year, weather permitting, except for Thanksgiving Day and Christmas Day. The Mountain also closes early on Christmas Eve and occasionally on other dates for staff training. We recommend you arrive before 11 a.m. or after 3 p.m. on summer weekends, holidays and fall color weekends to avoid our busiest times at the Entrance Gate. If you can only schedule your visit for midday, we will always be ready to take care of your travel party. During times of inclement weather, the park may close early or delay opening until conditions improve. 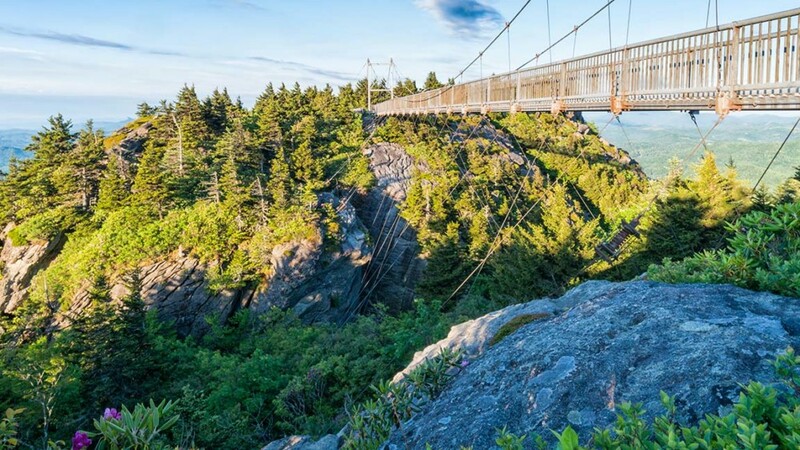 On occasion, weather may cause the mountain close halfway (past the Nature Museum to the Mile High Swinging Bridge), during which half-priced admission will be charged. To determine the day’s conditions, visitors are encouraged to call the Entrance Gate at (828) 733-4337 before making the trip. Ticket Sales: 9:00 a.m. to 5:00 p.m.
Park Hours: 9:00 a.m. to 6:00 p.m. Ticket sales: 9:00 a.m. to 4:00 p.m.
Park Hours: 9:00 a.m. to 5:00 p.m.
(starting May 24, 2019) Ticket Sales: 8:00 a.m. to 6:00 p.m.
Park Hours: 8:00 a.m. to 7:00 p.m. Ticket Sales: 8:00 a.m. to 6:00 p.m.
(starting Nov. 4, 2019) Ticket Sales: 9:00 a.m. to 4:00 p.m.
Click here to download a brochure or give us a call at (800) 468-7325!